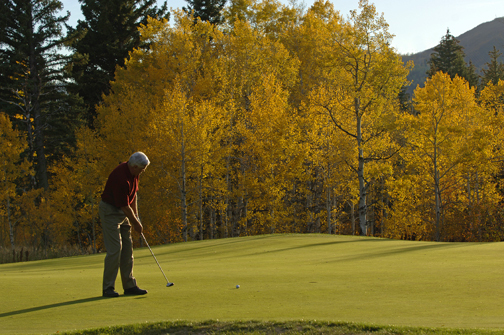 Steamboat Springs offers Golfers stunning views, challenging courses, and longer drives. Steamboat’s high altitude and dry atmosphere creates less resistance on the ball which can up to 10% on most players’ drives. 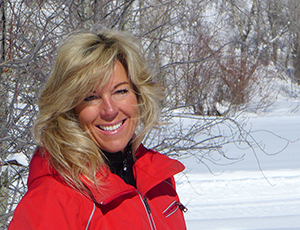 Steamboat and the Yampa Valley offer 5 courses: Haymaker, Catamount Private Club, The Rolling Stone Ranch Golf Club, Steamboat Golf Club and the Yampa Valley Golf Course, near Craig. The Rollingstone Ranch Golf Club (formerly The Sheraton Steamboat Resort Golf Course) development began in the summer of 1972. By the summer of 1974, this Robert Trent Jones II designed course was ready for play, with Tom Watson as its PGA tour representative professional. This renowned course is comprised of bentgrass greens, bluegrass and ryegrass fairways, trees and 72 bunkers. Water winds its way through seven holes with tree-lined conditions on most of the 18 holes. Due to our relatively low mountain elevation, you can count on 150 days of playing time each year, from mid-May to late October, with value golf packages available all season long. On the fairways and greens, you play in the presence of history – across alpine meadows, past a stonebuilt dairy barn, along Walton Creek under the watchful majesty of Steamboat’s great peaks. To play at Catamount Ranch & Club is to learn something entirely new about the heart of the game. In his intricate design, Tom Weiskopf took exceptional care to map out every detail in the course at Catamount Ranch & Club. Every hole has a story, dramatic and compelling. The 14th hole runs along Walton Creek, offering stunning vistas through old stands of Douglas fir. The 17th hole crowns a ridge with an 80-foot drop, looking away over the Flat Tops Wilderness Area. As you play through meadows, hayfields, rock formations, groves of aspen, brush oak and cottonwood, you feel the presence of extraordinary natural grandeur. Haymaker is an 18-hole championship golf course designed by Keith Foster, and features a full practice facility, pro shop and the Haybale Bar & Grill. Haymaker is located three miles east of Steamboat Springs, Colorado at the junction of U.S. Highway 40 and State Highway 131.